Today I read a great, quick article on www.Governing.com about research that is looking to turn invasive plants into biofuel. It got me thinking about the whole subject of invasives and wondering whether most people have a good idea of what they are. I’d be curious to have your feedback – when it comes to invasive species, what do you know? The federal definition of an invasive species is a species (plant, animal, disease) that isn’t native to the area that causes or is likely to cause harm to human health, to the environment or to the economy. Whether a species is or isn’t native to an area is usually determined by looking at historical records – if it existed before colonists arrived, it’s native. If it arrived since then, it’s non-native or exotic. Not all non-natives are invasive, though. If you think about many of our fruits and vegetables, they originally came from somewhere else, but they don’t grow out of control and take over forests and meadows. They stay where they’ve been planted. Invasives, on the other hand, grow like wildfire. 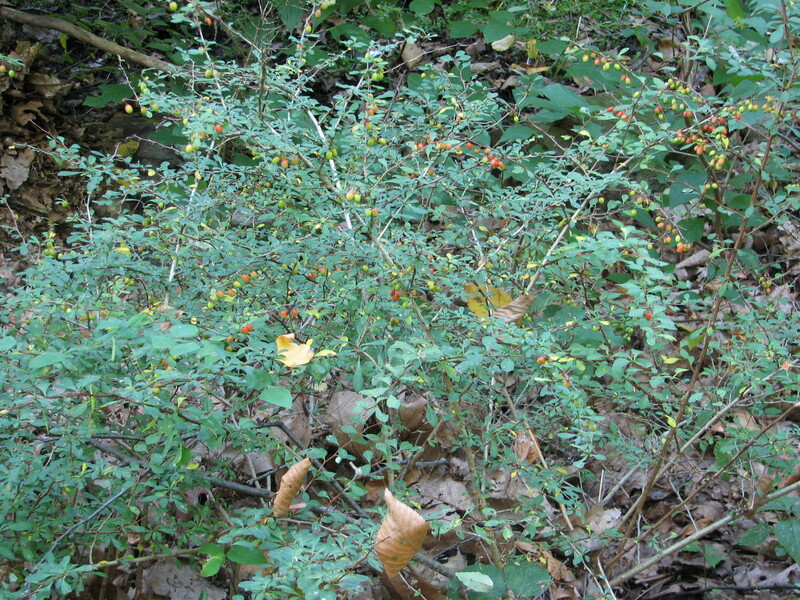 One Japanese barberry shrub can become dozens upon dozens as birds and people spread their seeds. One emerald ash borer can become thousands as people move firewood from state to state. Invasives are such a concern to me and the rest of the conservation community because they out-compete our native plants for space, and our native animals for food. They grow so densely that they can block trails and access to stream and river banks. The cost of trying to rid ourselves of these invaders runs into the billions of dollars each year. What makes something invasive? Well, typically they reproduce quickly or produce abundant amounts of seed. Purple loosestrife, for instance, can produce millions of seeds per plant per year! Many invasive plants can also reproduce vegetatively, meaning that they send out underground rhizomes (root-like) that sprout new plants. Cut down a Tree-of-Heaven and you’ll have dozens of little sproutlets in its place. Invasives can grow pretty quickly too; mile-a-minute vine and kudzu can grow up to a foot a day in some parts of the country! Plus they usually don’t have any natural enemies trying to feed on them; that puts them at a competitive advantage over our native species. If you’ve ever seen a streambank covered with Japanese knotweed you’ll notice that there are very few insect chew holes on the leaves. Japanese beetles (you guessed it – another invasive!) are one of the few insects in the U.S. that will bother trying to eat it! What does all this mean for the average Pennsylvanian? Well, no matter whether you own a piece of land or not, you can do something about invasive species. It boils down to planting species that we know are not invasive. The easiest way to do that is choose natives. The second easiest way is to look at www.invasive.org and make sure the plants you’re planning on buying aren’t on their lists. Many nurseries and big box retailers still sell plants that are considered invasive in some parts of the country. Know what to look for and avoid. If you have pets, especially the reptile and amphibian kind, do not release them into the wild. More likely than not they’ll die, but a few may survive and become and invasive nuisance. Pythons are doing it in Florida; red-eared slider turtles are doing it here in Pa.
Don’t move firewood from place to place. This is one major way invasive insects travel from state to state, wreaking havoc to trees along the way. If you’re out hiking or mountain biking, brush of your boots and tires before going somewhere else. Otherwise invasive seeds can hitch-hike on your gear. Cleaning of boats and fishing tackle is also important to cut down on the spread of aquatic invasives like zebra mussels, rock snot and hydrilla. Some people ask why we bother with invasives. Some are well-established, they cost a lot of money to control, and after all – aren’t human beings the ultimate invasive species? Well, yes I guess we could be considered an invasive. I’m sure the countless extinct plants and animals would call us that if they could. But because we have the ability to think and act it, shouldn’t we try? Yes, invasive species control can cost a lot of money but the cost of inaction is far greater. The economic damage to our crops, timber industry and health from invasives is much higher than the control costs. And yes, some invasive species are pretty common by now, since for decades they were allowed to spread uncontrolled, but now that we know their negative impacts, if we can act, why not try? 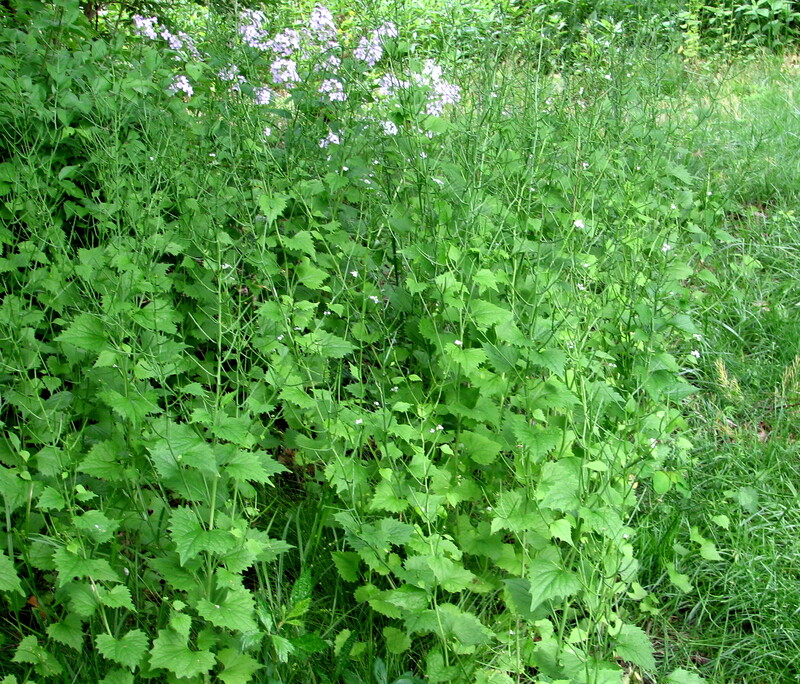 Want to learn more about invasive plants? 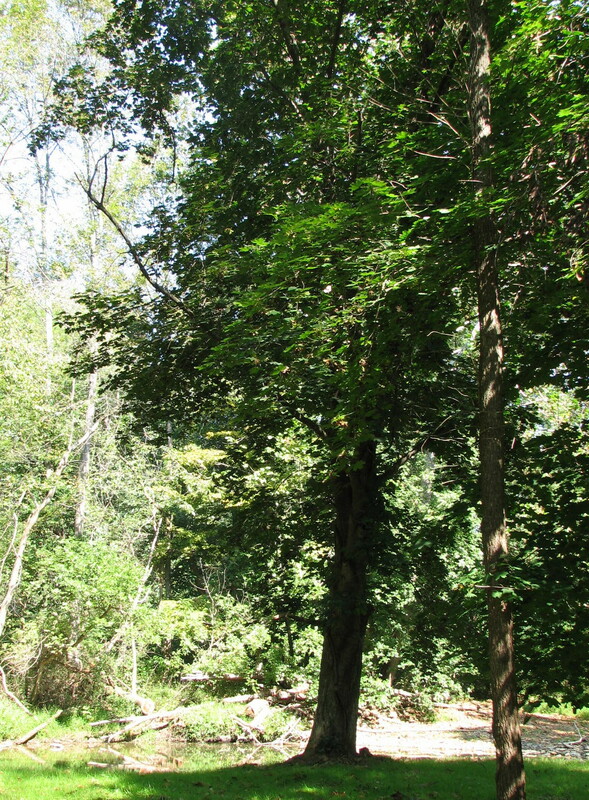 I highly recommend: http://www.dcnr.state.pa.us/forestry/invasivetutorial/index.htm. For invasive animals (including insects) and pathogens (plus additional info on plants), check out www.invasive.org.